Laura is passionate about Birmingham, sustainable transport (particularly cycling and buses) and going to the cinema. The University of Birmingham is celebrating the redesigned ‘Green Heart’ area of the campus with a free weekend festival on Saturday 8 and Sunday 9 June 2019. The redesigned area of University of Birmingham’s campus, known as the ‘Green Heart’, is the result of two years work redeveloping the area to open up the campus in the way that the Founders imagined it would be. The new parkland in the centre of the University’s historic campus measures over over 12 acres, providing a multi-use space for performances, events and markets, as well as bringing wild flowers and native plants to campus. The Green Heart will also open up new pedestrian and cycle routes, allowing students, staff and visitors to move across campus with ease. This will improve air quality, provide shade and create a place of peace, whilst developing zoned lighting to balance campus safety with minimising light pollution. The Green Heart Festival Opening Weekend will bring a range of outdoor music performances, with music from University of Birmingham musicians and range of street food and drink on offer. There will also be the opportunity to explore hands-on exhibits which highlight the recent research from the University. And for more information on Green Heart Festival Opening Weekend, visit the University of Birmingham’s website. Birmingham Connected, part of Birmingham City Council, are asking people to “Think blue, let cyclists through” ahead of new cycle routes opening on the A34 and A38 this year. Birmingham Connected, which covers all transport planning activity for the council, are making drivers aware of some new road layouts, ahead of the new cycle routes opening soon on A34 and A38. The blue surfaced routes show the new cycleways, which are separated from other traffic where possible. At areas where the blue routes cross central reservations or side roads drivers need to give way to cyclists. From Monday 25 March planned access changes to Priory Road from Bristol Road will be implemented, where there will be no right turn into Priory Road, whilst travelling out of the city centre. 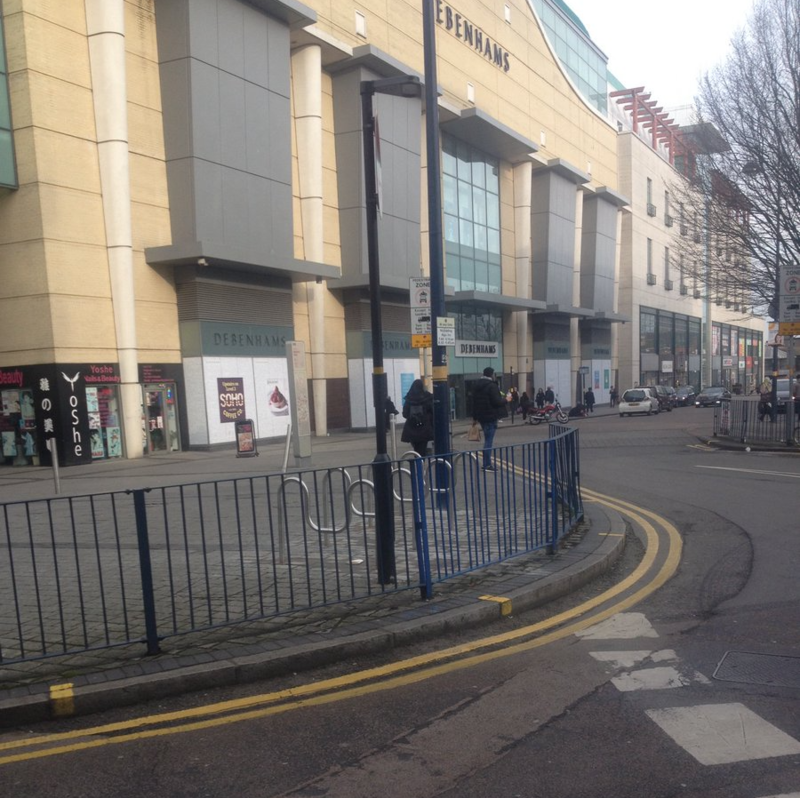 Travelling into the city there will be no access (left turn and right turn) into Priory Road from Bristol Road. The left turn towards the cricket ground will remain open. Signage will be installed and information will also be provided about alternative routes. Living Streets, the UK charity which supports Britons to enjoy the act of walking, are hosting their annual conference in Birmingham on 29 March 2019. The charity, which celebrates its 90th anniversary this year, originally started campaigning to introduce the UK’s first zebra crossing and the introduction of speed limits, aims to get the country walking. Their annual National Walking Summit, a highlight in the street planning calendar, will bring together leaders, decision-makers and campaigners, to inspire and shape debate on how to create towns and cities that are fitter for walking. Held at Birmingham’s Council House, the summit will include input from Cllr Ian Ward, Leader, Birmingham City Council; Andy Street, Mayor of West Midlands; Christophe Najdovski, Deputy Mayor of Paris for Transport, Travel and Public Space; and a series of lightning talks from grassroots campaigners. The website provides information for businesses, particularly self-employed drivers and fleet managers using vehicles in the city, who may be affected by the Clean Air Zone. Business Breathes provides useful information on low emission vehicles that will comply with the Clean Air Zone requirements, as well as information about where they can be refuelled (or recharged) in and around Birmingham. The site also includes information about why the Clean Air Zone is being implemented within Birmingham and which areas it covers. Users can also find advice and guidance on grants and incentives available for businesses to support them to do their bit to improve Birmingham’s air quality. Taxis, both Hackney carriage and private hire vehicles, can avoid paying the Clean Air Zone charge by switching to a vehicle which meets certain criteria, which are explained on the website. Each car or van that does not meet the criteria or have approved retrofit technology fitted will incur a daily charge for entering the Clean Air Zone (amount to be confirmed around April 2019). Birmingham has a growing network of refuelling options for drivers of low emission vehicles, and the website directs drivers of electric vehicles to charging points, as well as Fleet Refuelling Hubs, dedicated to providing businesses with refuelling. Drivers of vehicles which require hydrogen, gas or LPG are also pointed to places where they can refuel too. Business Breathes is part of Birmingham City Council’s overall ‘Brum Breathes’ campaign, which includes the Clean Air Zone, to reduce air pollution in Birmingham, including harmful pollutants like nitrogen dioxide and particle matter in the air. If you are a self-employed driver, fleet driver or professional driver in Birmingham, please visit https://businessbreathes.co.uk/. The UK Department for Environment, Food and Rural Affairs is seeking to gather views on household and recycling collections. Household recycling rates in England have increased significantly from 11% in 2001 to 45.2% in 2017, but have remained fairly consistent ever since, despite new services implemented. Some local authorities, who collect waste in the UK, have even seen a drop in recycling rates despite these new services and public consciousness about the harm of single-use plastics to the environment. Despite these concerns, and willingness to reduce reuse and recycle, people seem keen to recycle more but are increasingly confused about what they can and can’t recycle - and what goes in what bin. Many people are calling for better waste management including better recycling, but there are few incentives to encourage local authorities to expand recycling services or for businesses to invest in recycling services. This has become more important, given last year’s ban by China on the import of post-consumer contaminated plastic and paper. People have called for greater consistency in what can be collected for recycling and how it is collected. There have also been calls for investment in separate food waste collection to reduce the amount of food waste going to landfill. DEFRA would like to gather views from people via an online consultation. The consultation is live now and can be found here. It will close on 13 May 2019. Fancy making the Jewellery Quarter sparkle? The JQ BID team are taking part in the national Great British Spring Clean and are looking for volunteers. Meet at 1pm on 22 March on the Golden Square outside the Big Peg (postcode B18 6NF) for an introduction and safety briefing. The group will be litter picking around the Jewellery Quarter for approximately 45 minutes before returning to the square. All equipment will be provided by the team, just turn up willing and ready to litter pick. There will also be free refreshments available for volunteers. The Great British Spring Clean is part of a campaign by Keep Britain Tidy. It aims to inspire 500,000 people to join forces with community organisations, businesses and the government to collect and dispose of single-use plastic from streets and parks, recycling as much as possible. The JQ BID, or Business Improvement District (BID), is a geographically defined area where local business pool their resources to invest in projects and services that improve the business environment and experiences of people using the area - workers, shoppers, residents and visitors. The Jewellery Quarter BID commenced in September 2012 and was renewed for a second term in 2017. If you enjoy a bag or two of crisps, but wish you could recycle the packets, then a library in Sutton Coldfield might have the answer. Sutton Coldfield’s Boldmere Library has teamed up with TerraCycle to provide free crisp packet recycling. Whilst crisp packets would normally be thrown in general waste, Boldmere Library are able to collect the empty packets and pass them on to be recycled - and earn more for the library for doing so. For every kilogram of crisp packets sent to TerraCycle, the library will receive a small amount of money which they can then use to buy new items for the library, based on Boldmere high st. This is part of the UK's first nationwide recycling scheme for crisp packets, where any brand of crisp packets are able to be donated, but sadly popcorn bags, crisp tubes and meat snack bags are not able to be accepted. 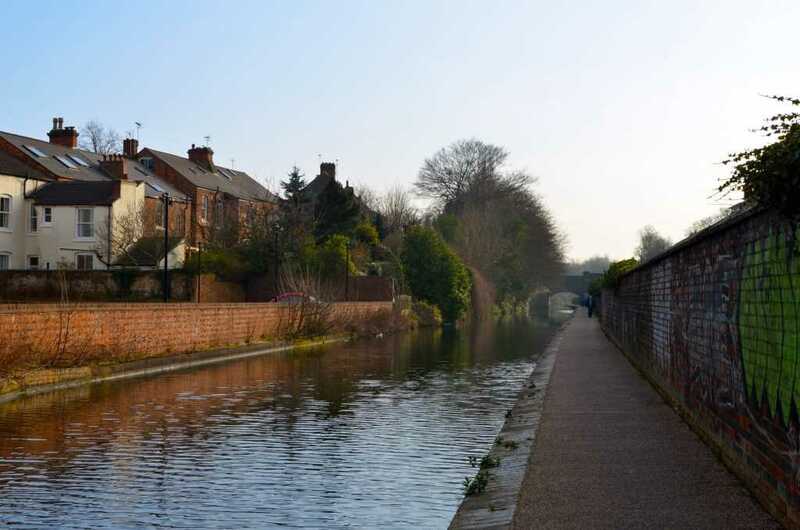 The Canal and River Trust are hosting an open weekend on 23 - 24 February 2019, to celebrate the importance of the canal network to the people or Birmingham and see restoration in action. The open weekend will take place at Cambrian Wharf, on 23 - 24 February 2019 10:00am - 4:00pm, near Kings Edwards Rd and the Flapper Pub. Visitors will get to see restoration in action, as well as see what life was like living on the waterways, enjoy some walks along the canal and hear more about the Canal and Rive Trust's (CRT) partnerships with location organisations. The gates at Locks 1 and 2, located a short walk from Brindley Place at the back of the Library, are being replaced. Repairs are being made to the masonry in and around the lock too, as part of the CRT's winter maintenance programme. Over two days, visitors will be able to see the brand new hand crafted gates, made at the CRT's local Bradley workshop, as well as inspect the old gates. A heritage working boat will be moored close by for visitors to learn how life was for families who lived on board canal boats, and there will be old photographs of the lock, as well as activities for children. Visitors will also be able to hear how the CRT are working in partnership with the National Trust. And of course, enjoy some towpath walks along the canals in central Birmingham. Each year the Canal and River Trust hold a number of free open days for the public. They are an exciting opportunity to see behind the scenes, see how they work with local communities and what improvements are taking place. For more information, visit the Canal And River Trust website. Transport for West Midlands and the West Midlands Combined Authority announce ambitious plans to increase investment in cycling and walking in the region. West Midlands Combined Authority (WMCA) announced an ambitious plans to increase investment in cycling in the region, and improve infrastructure and funding. The report, entitled A Common Approach to Cycling and Walking in the West Midlands, lays out a number of plans drawn up by Transport for West Midlands; these include the appointment of a Cycling and Walking Ambassador by March, new branding and goals to raise cycling investment to at least £10 a head each year. The report, endorsed by the WMCA board at its meeting in Birmingham, reaffirms commitment to see more people making the switch to pedal power. It aims to do this by putting forward 26 priority corridors for investment covering nearly 200km through Birmingham, the Black Country, Coventry and Solihull. Andy Street, Mayor of the West Midlands, said: “Cycling can reduce traffic congestion, improve health and wellbeing and reduce pollution. It is good for the cyclist and good for the wider travelling public so we have set out ambitious targets to increase the number of journeys made by bike in the region. Jesse Norman MP, Minister of State for the Department for Transport, who visited Birmingham recently, said: “Getting people cycling and walking is key to improving air quality, encouraging healthy exercise, and boosting our high streets and economic productivity. “These new safe cycle routes, which the Department for Transport is supporting through the Transforming Cities Fund, will help to make cycling the natural choice for journeys across the region. Birmingham Friends of the Earth are asking people for their views on on plastic waste at the 2022 Commonwealth Games, which will take place in Birmingham. Digbeth-based Birmingham Friends of the Earth are looking for the views of people on ways in which the Commonwealth Games can minimise their use of single-use plastics and create a legacy which lasts beyond the games themselves. They want to gather opinions from the general public, both from Brummies and non-Brummies, to help inform their campaign, which aims to have zero plastic waste from single-use food and drinks containers at the Games. Running since 1973, Birmingham Friends of the Earth is one of the biggest groups in the Friends of the Earth network, the largest international network of environmental groups in the world, with affiliates in over 75 countries worldwide. Based in The Warehouse in Digbeth since 1977, Birmingham Friends of the Earth have covered so many issues in and around Birmingham, as well as campaigning on national and global issues as part of the Friends of the Earth network. Birmingham will play host to a transport summit in March, looking at how transport issues affect everyone in Birmingham and discuss the future of its transport network. The morning will begin with an immersive visit to communities in Birmingham to see the transport challenges they face, looking at how it affects daily living, particularly for the most disadvantaged people in the city. Participants will visit community facing conversations at different venues within the city, before returning for guest speakers and panellists including Andy McDonald MP, shadow transport secretary; Nick Barton, chief executive, Birmingham Airport; and Laura Shoaf, managing director, Transport for West Midlands. Ahead of the introduction of the Clean Air Zone, Councillor Waseem Zaffar, cabinet member for transport and environment, and Birmingham City Council, are urging residents to fill in a survey to let the council know more about why people are chosing not to use the Birmingham bus network, and what they can do to improve passenger numbers. Birmingham City Council is asking residents to tell them what’s wrong with the city’s buses. Whilst people using the buses report good levels of satisfaction, the number of people using buses is declining year on year, particularly with people travelling into Birmingham city centre. With the council working to create a clean air city, and a Clean Air Zone being introduced to Birmingham in 2020, they’re seeking to better understand people’s experiences of bus travel and how it can be improved. A key part of the clean air city will be encouraging residents and visitors to use more sustainable forms of public transport, like buses, trains, walking and cycling. 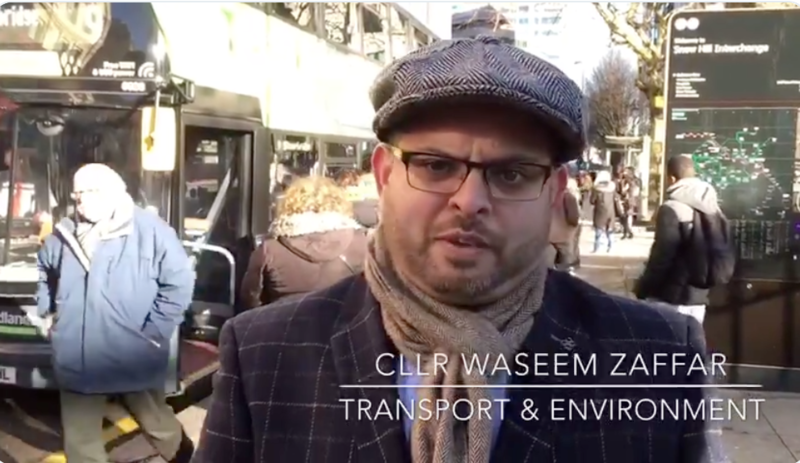 Councillor Waseem Zaffar, cabinet member for transport and environment at Birmingham City Council, said: “Buses are absolutely vital here in Birmingham and across the West Midlands. However, bus usage across the region has been decreasing, particularly among those who have been travelling into the city centre. “I want to know what could be done to encourage people to make more of their journeys by bus and to ensure the bus is seen as an attractive, accessible and affordable option for every citizen of Birmingham. Severn Trent is looking for volunteers to help improve Brummies access to free tap water. Refill Birmingham Action Day will take place Tuesday 19 March. Volunteers will be provided everything they need for the day, where they will be out and about in pairs approaching local businesses to spread the word about the Refill campaign, and hopefully signing them up to the free Refill app, and putting a Refill sticker in their window. Refill aims to reduce single-use plastic usage by making it easier to refill reusable water bottles. With over 600 businesses already signed up in the region, the water company is hoping to encourage more venues to become Refill Stations. These stations provide people with free access to tap water to encourage healthy hydration and a reduction in single-use plastic. Severn Trent estimate that if customer refilled just once a week instead of buying a bottle of water, the region's plastic consumption would be reduced by 400 million bottles in just one year. Not only are single-use plastic bottles are expensive to produce and therefore to bu, they are a large contributor of plastic pollution in our rivers, seas and natural habitats. The UK's largest zero waste supermarket, based in Birmingham, wins a business grant to expand internationally. The Clean Kilo in Digbeth was announced as the winner of FedEx Express’ Small Business Grant UK. The £20,000 grand prize won by the team will help them further expand their reach on a larger, international scale. The Clean Kilo impressed the judges by outlining plans for international growth. The Clean Kilo is the UK’s largest zero waste supermarket, which allows customers to reduce unnecessary plastic waste by bringing along their own containers to fill up on everyday items like coffee, bread, eggs and vegetables. The store also helps customers reduce the food miles as items come from producers and growers from in and around Birmingham, like organically grown salad leaves from Aston. The FedEx Small Business Grant UK, has been running for three years in Europe and aims to provide small to medium sized enterprises (SMEs) with the support necessary to achieve their dream of growing worldwide. Midland Mencap's 'Parkride' family cycling project will help low income families of children with Special Educational Needs and/or Disabilities (SEND) get active with their children. The charity was one of the first projects to receive investment from a National Lottery funding pot that Sport England has dedicated to helping families get active together. The project received over £300,000 of funding from Sport England, which is part of a wider aim to help young people develop a positive attitude towards being active at an early age and continue being active in later life. The project will be based at Midland Mencap's Outdoor Learning Centre in Sutton Park and will provide families access to a range of adapted and mainstreams bikes and specially designed routes. The project will also aim to encourage the whole family to get active, by building up the confidence of parents too. Air Quality across the City - Birmingham's on a mission! Councillor Waseem Zaffar, Cabinet Member for Transport & Environment at the Birmingham City Council talks of the "brave and bold leadership Birmingham has shown by introducing Clean Air Zone class D". In this post, Laura Creaven, an award winning blogger in Birmingham, reviews the Q&A event held in Birmingham during December 2018. Climate change, traffic congestion and poor air quality have all been hot topics in the media, particularly in Birmingham where the Council’s announcement of a Clean Air Zone has brought some heated opinions from residents. 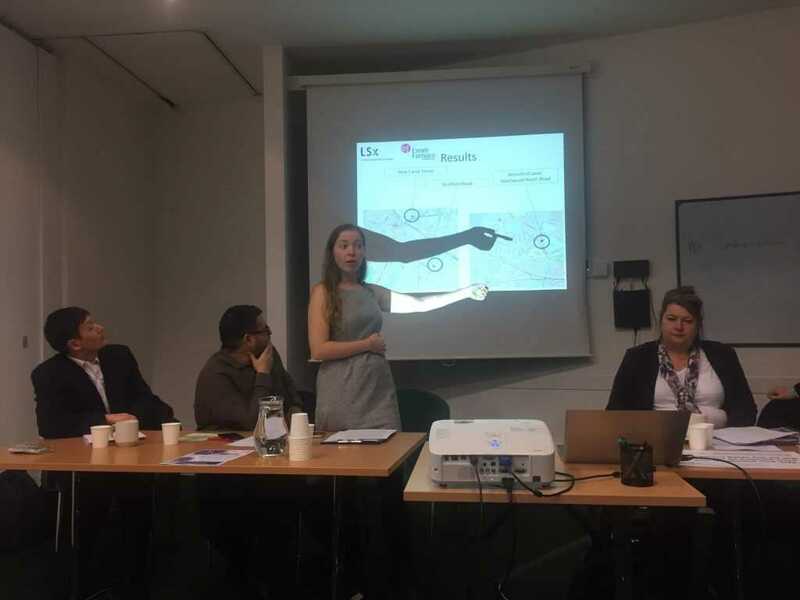 London Sustainability Exchange (LSx), who have been working with residents in some of East Birmingham’s wards, arranged a question and answer session for Birmingham residents to pose questions to academics, councillors and campaigners. Opening the evening, Alice Vodden from London Sustainability Exchange gave some background to how the evening came about; working with residents of Birmingham’s Sparkbrook and Ward End, particularly looking at poor air quality around high servies areas, they realised that a co-ordinated collection action would create more change. 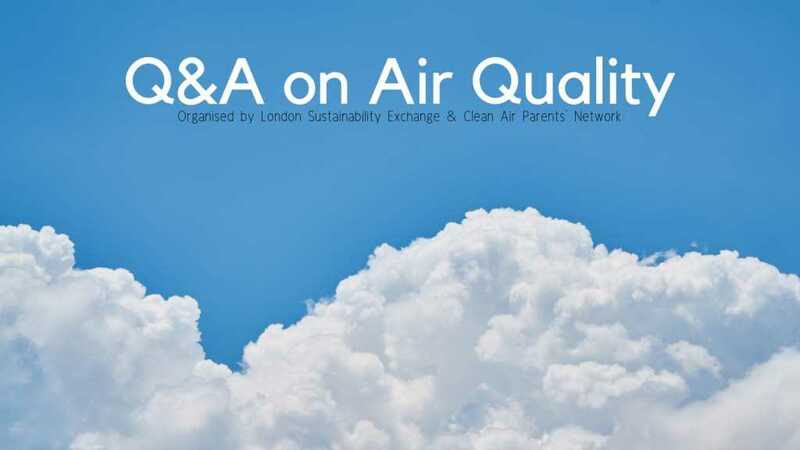 Realising that the residents they worked with grasped the problems, but also had a lot of questions, LSx convened a group of panellists who each have an interest in air quality in Birmingham. Each speaker was given a few minutes to talk about the subject, with the rest of the time offered up to questions from the floor. The first person to talk was Dr Zongbo Shi, Senior Lecturer in Atmospheric Biogeochemistry at the University of Birmingham. Dr Shi talked about what exactly is air pollution and why a blue sky is not necessarily a clean sky, despite what people might think. By studying the data it was clear to see that whilst Birmingham might not have the dangerously high levels of particle matter in the air that cities like Dehli have, air quality pollutants are fairly consistent in causing problems even at lower levels, so Birmingham needs to act – particularly at roadsides where it is a bigger problems than in urban backgrounds. Dr Shi pointed out that a few percent of GDP is lost to air pollution, giving examples of people who become sick and then cannot work because of respiratory illness. He and his team are working on WM Air, the West Midlands Air Quality Improvement Programme, which supports improvements to air quality in the area and the knock on benefits to health and education. Next up was Councillor Waseem Zaffar, Cabinet Member for Transport & Environment at the Birmingham City Council who talked about the brave and bold leadership Birmingham showed by introducing Clean Air Zone class D, which means all vehicles (Buses, coaches, taxis, PHVs, HGVs LGVs and cars) but motorbikes are included within the remit. This is the toughest of the Clean Air Zones on offer but Councillor Zaffar pointed out that even this wasn’t enough, and that the council weren’t interested in merely being legally compliant, but that this would be the jumping off point, as good air quality is important to future generations and to reduce health inequalities within the city, especially as the Clean Air Zone encompasses some of the poorer communities with the city. He was also careful to point out that the council are aware these communities will be impacted by the creation of the Clean Air Zone and that they have requested additional funds from central government to support these groups, and small businesses within the zone. Sue Huyton from the British Lung Foundation was the third panelist and she spoke about the unsafe levels of air pollution around hospitals and GP surgeries, both nationally, but also in Birmingham, where three hospitals are in areas that are unsafe and 41% of GP surgeries in areas which exceed the safe levels for air pollution, higher than the national average. Sue praised the national leadership shown by Birmingham City Council class D, but would want to see WHO recommendations for better air quality included in the Environment Bill, believing the answer to clean air lies in legislating for it. Stirchley resident Sandra Green joined the Clean Air Parents’ Network because she wanted to engage with how air pollution affected children. Through the network she’s met with a number of interesting people, but talked about a sobering meeting with someone from UNICEF who she always thought of as working on child issues around the country, but found out that they have a campaign around UK children’s right to clean air. Sandra believed that the way to change attitudes is through hearts and minds, and that things like the reusable cup example show it is possible, especially if we get people to think of air quality in the same way. The final speaker of the evening was Chris Crean from Friends of the Earth West Midlands. Chris expressed thanks to the organisers for arranging the evening, Birmingham City Council for persevering, even when faced with criticism from within their own party, but that the biggest thanks should go to Client Earth who have successfully taken the UK government to court three times over air pollution in the country. Recognising reports which talked about having only 12 years to act on climate change, Chris talked about the need to change how we live so that we have a sustainable economy, but also that we leave a tolerable planet for future generations to live on, and that this can’t simply be things like cleaner and green cars but less cars on the road. He also spoke about the concerns government is only interested in compliance, rather than challenging further and whether they will put their money where their mouth is by supporting local councils to make the necessary changes. Whilst Chris praised the leadership of the council for implementing the Clean Air Zone, he did also point out a number of inconsistencies including plans to widen the Dudley Rd to more traffic and the chaos over changes to buses in south Birmingham, and what this says to residents and businesses within the Clean Air Zone. Councillor Zaffar agreed this was a fair point and that the council needs to reprioritise the road space, make a walkable city centre and connect the new cycle-ways to existing paths. Chris ended his talk suggesting that the city is not an island and that it needs to work with others in the conurbation, by sharing ideas like Solihull School Streets campaign [a pilot project which aims to address such issues by limiting traffic in the streets surrounding schools at key times, creating a predominantly car free zone] and working together to make a real impact. And with the talks done it was over to questions. As usual, several questions weren’t actually questions but more comments, offering to install pilot air filters which have been successful in India, calls to extend the Skips Clean Air Cops from primary into secondary schools, and whether contact information for people in the room could be shared. Questions about investment were asked, with Councillor Zaffar replying that a London-centric government does not fund transport fairly, and that the area has a long way to go in terms of charging points for electric vehicles and pushing for public transport not to move to the compliant Euro VI emissions but rely on hydrogen and electric vehicle fleets instead. Questions around the joined up thinking around cycling were also raised, with Councillor Zaffar explaining how Manchester and the West Midlands authorities had spent transport money (WMCA spent it on the metro), and how Birmingham still needed to invest more but hopes that different ways of working, like the partnership with the Canals and River Trust, would be of use. Gavin Passmore from sustainable transport charity Sustrans asked about how receptive schools had been to the ideas around reducing parents driving to school and it was a mixed response, with Sandra Green saying teachers are keen and are thinking of innovative ways to implement it into the curriculum through things like maths and physical educations, whereas Sue Huyton pointed out that some schools are initially hostile due to concerns about how it would negatively impact the school, but that going in on a reducing carbon footprint was a more positive spin on a similar topic. Public transport was something that came up in both the panelist and audience questions, with one audience member posing the question as to whether Birmingham could take inspiration from numerous other cities around the world and introduce free public transport. Councillor Zaffar said this was a great aspiration, and that there is certainly a need to make public transport cheaper, but that whilst the West Midlands Combined Authority Major has the right to franchise public transport, this isn’t something he seems to be looking at. But that Birmingham City Council are trying to make changes where they can by introducing bus lanes and gates which prioritise buses on the roads. The last question of the evening was around the response to the consultation for the Clean Air Zone, which has been controversial within Birmingham. The audience member pointed out that two thirds of responses were negative, and how do we change this and get people to see what the issues are. Sue pointed at the work Client Earth had done around their Poisoned Playground campaign, as well as the British Lung Foundation’s website, which used data to show the impact on areas. She recognised the limits of the data, but said that this data has given vocal parents the ammunition to accelerate things and put pressure on bringing about change. And finally Councillor Zaffar called for a bottom up approach which saw young people as vital to encourage parents to enact change. Laura Creaven is an award winning bogger in Birmingham. To view more of Laura's posts visit her blog HERE.